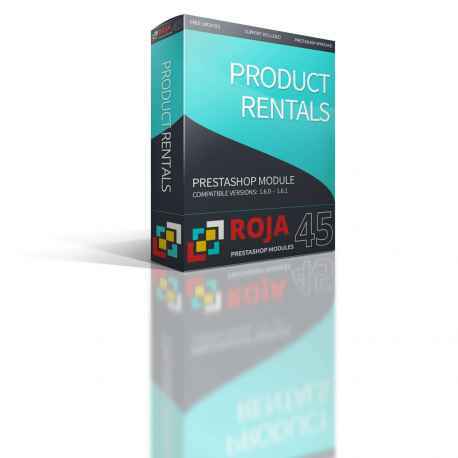 Roja45: Product Rentals. 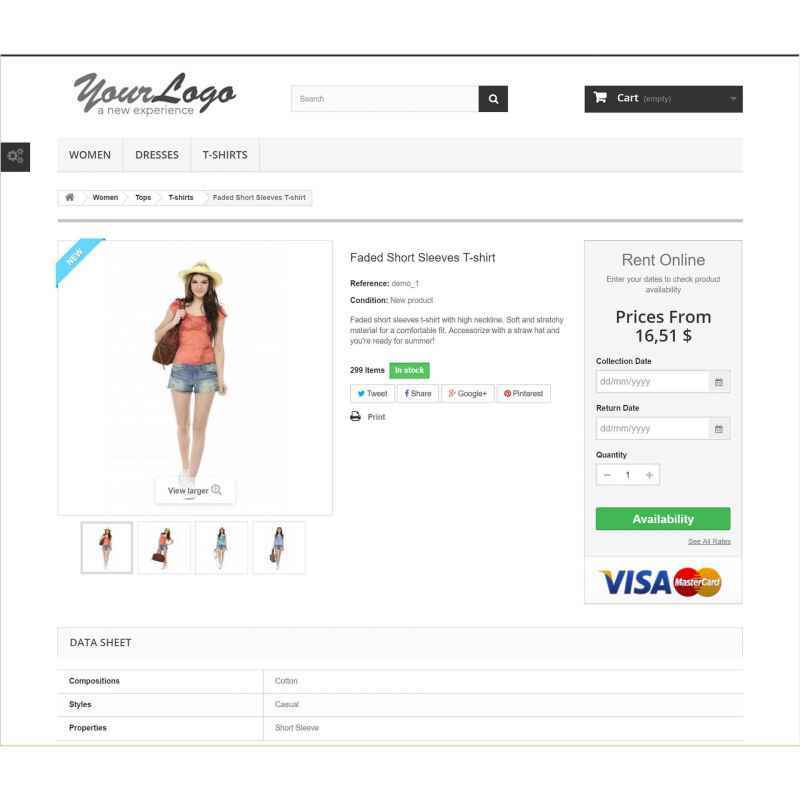 An affordable product rental solution for Prestashop, set up and rent your catalogue with just one click. 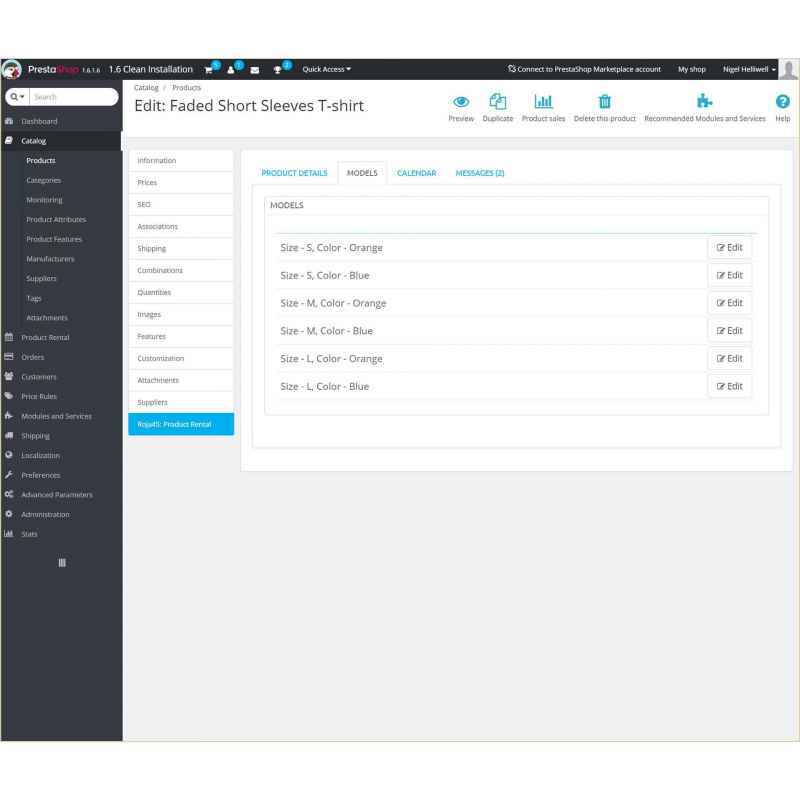 Enable extensions for product rentals and pricing for selected products. * Class error with rental extras. * Support multiple rental products with multiple models per cart. * Display price from with tax if enabled on product screen. * Move request login and account creation to later in the process. 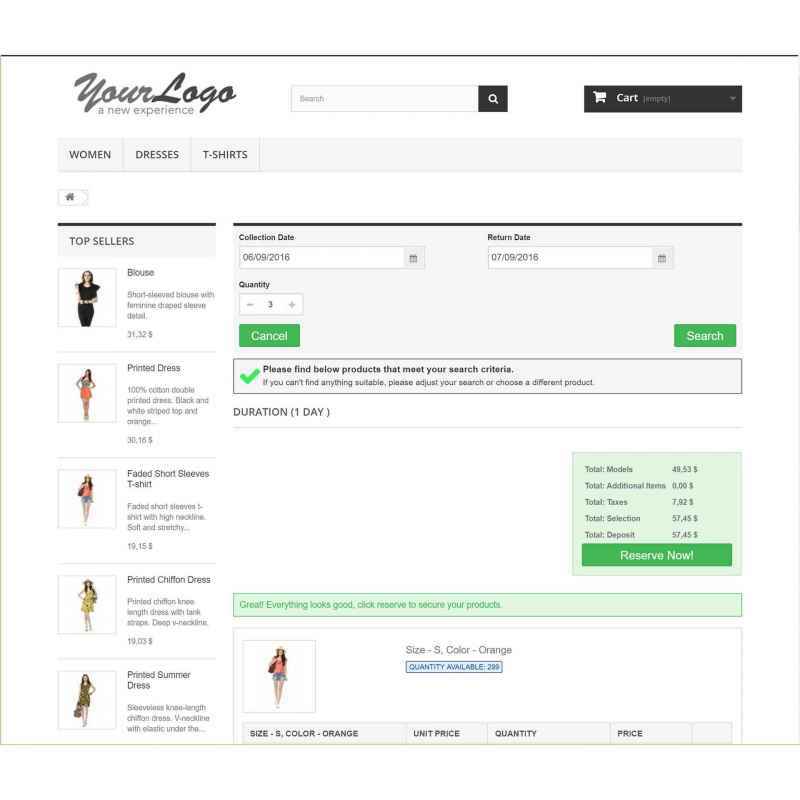 * Unify email template data for order checkouts and non-order checkouts. 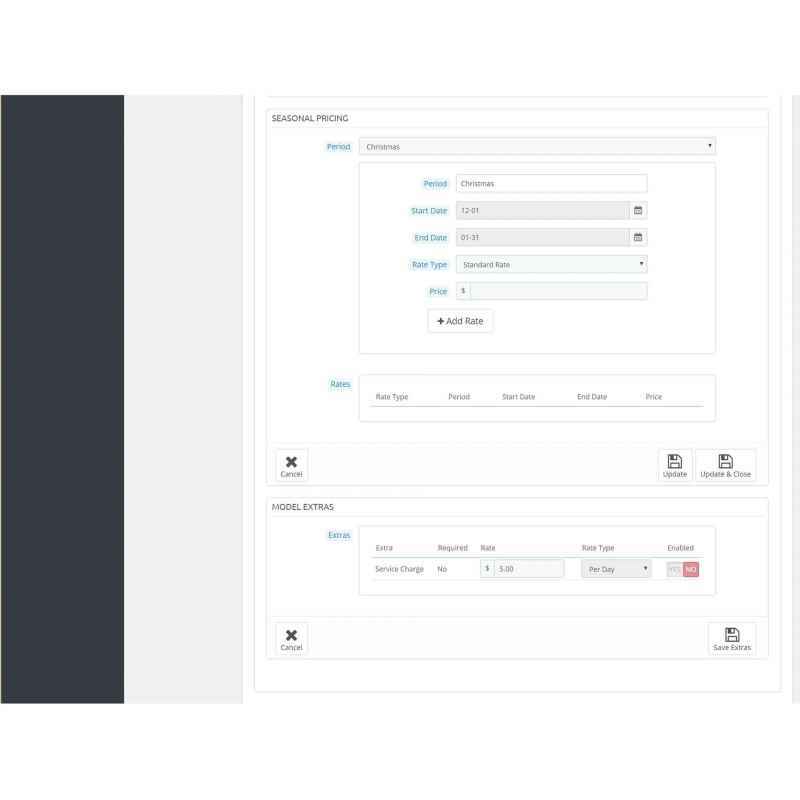 * Include availability in date selectors for product combinations. 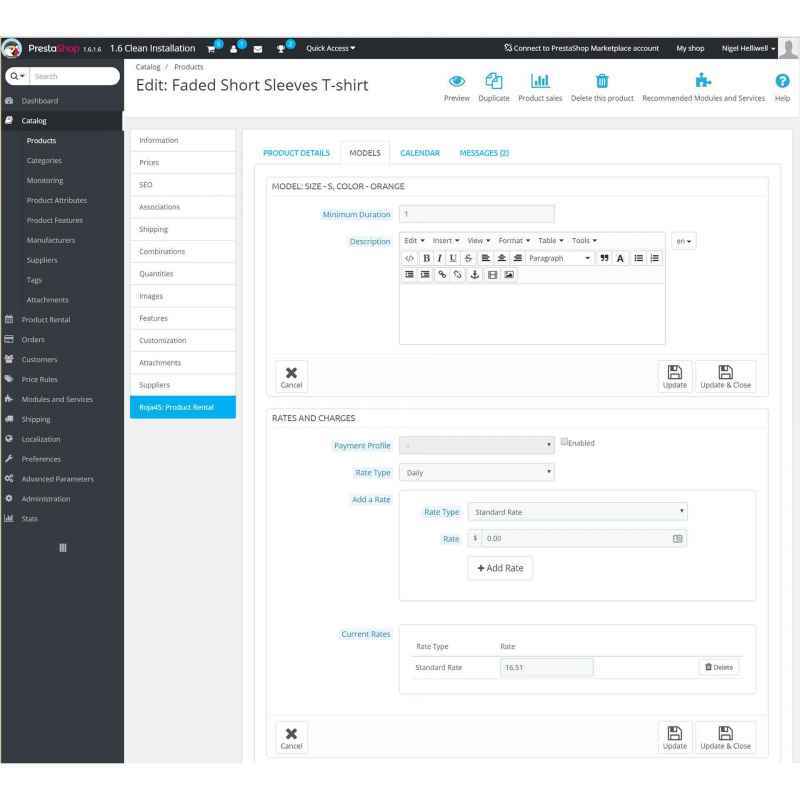 * Re-enable and merge default product attribute selections. 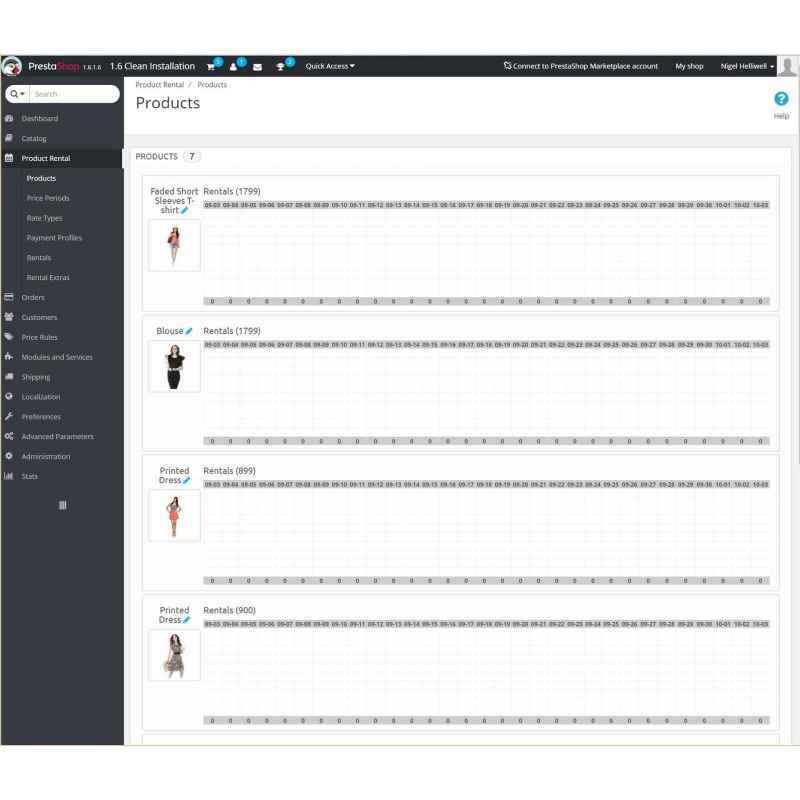 * Don't display product buttons if catalog mode enabled. * Fix error when blocking calendar. * Removed dependency on theme set global currency values, not all themes set them. 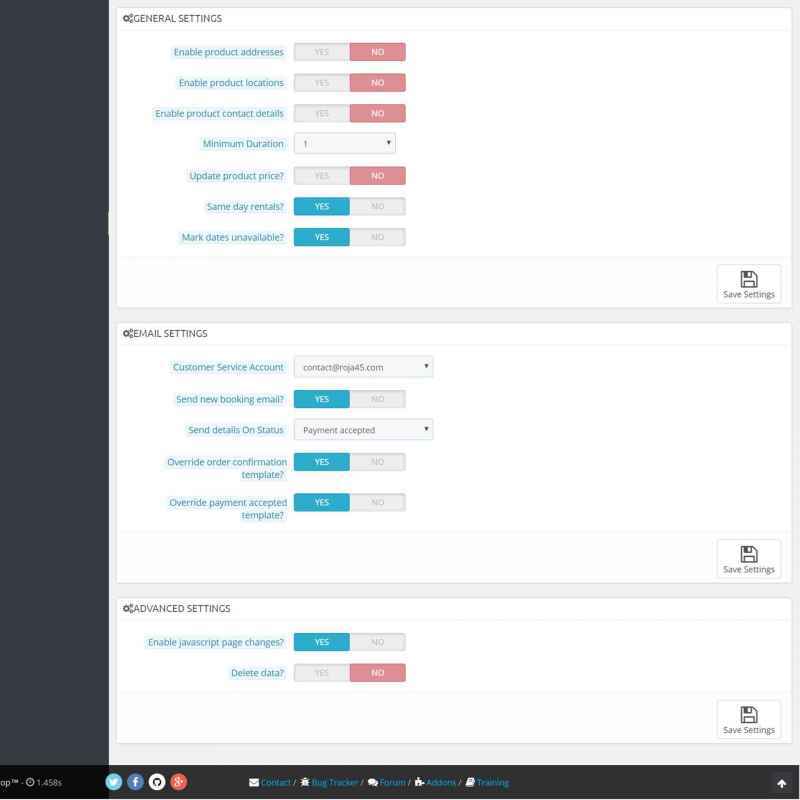 * Add working days option to control when returns can be made. 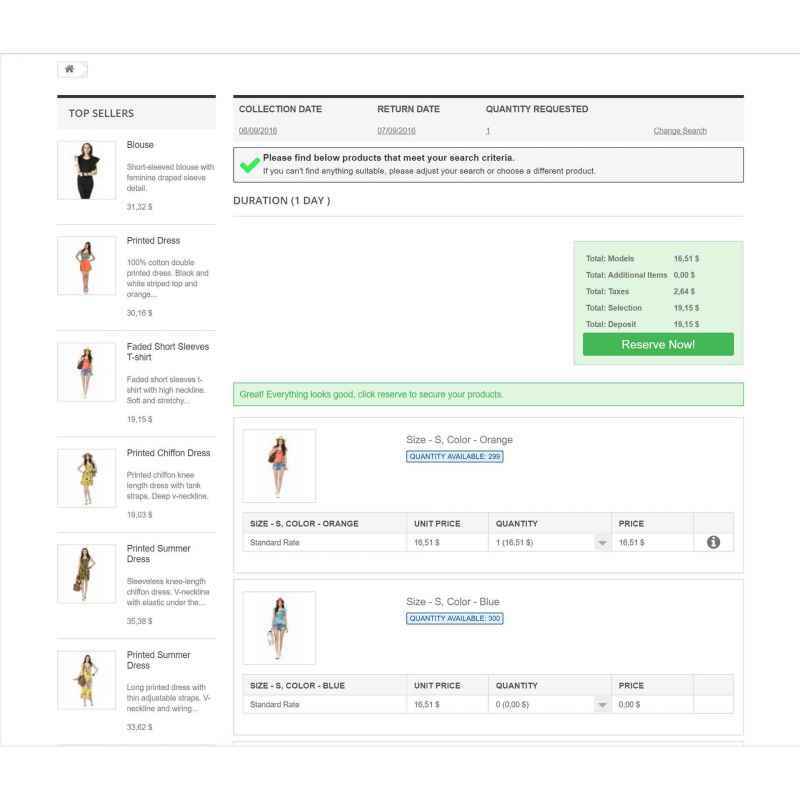 * Add damage deposit option, implemented as additional deposit product added to cart at checkout. 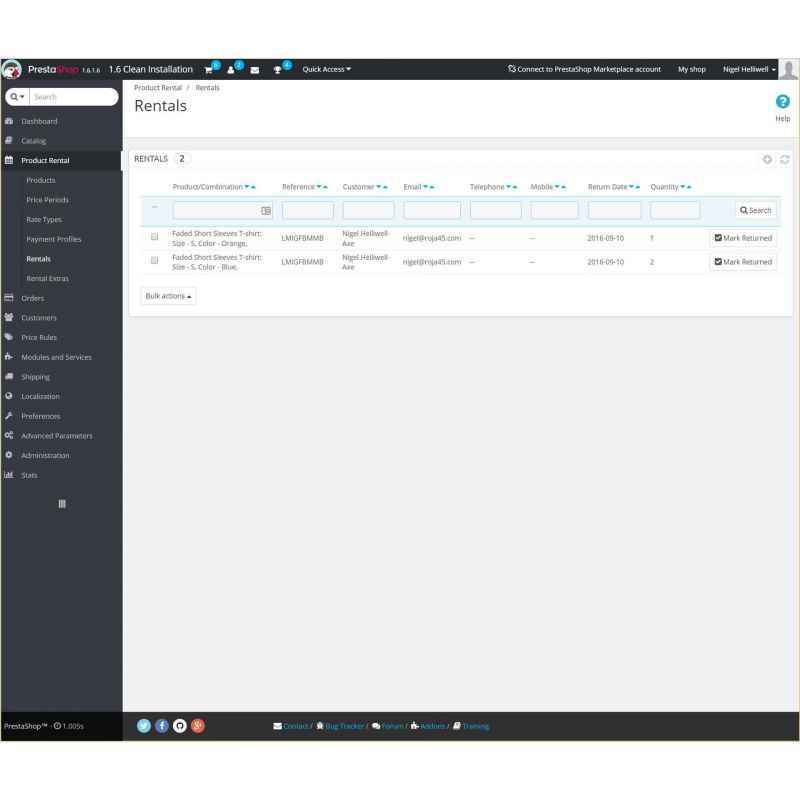 * Enable product as rental directly from product configuration tabs. * Fix blocked dates not appearing in date selectors. * Fix customer account creation when checking out without payment. * Fix piece of text not appearing in the translation. * Fix allow same day rental config value not being saved. * Fix error in renal summary email template. * PR-72 Enabling a required extra should update all product models automatically. 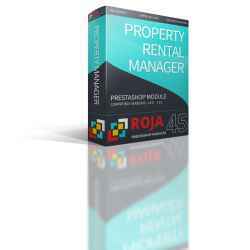 * PR-73 Rental product should inherit required extras when created. * Enable new daily rate system by default. * Allow model name changes. * Load jquery library when installed to subdomain. 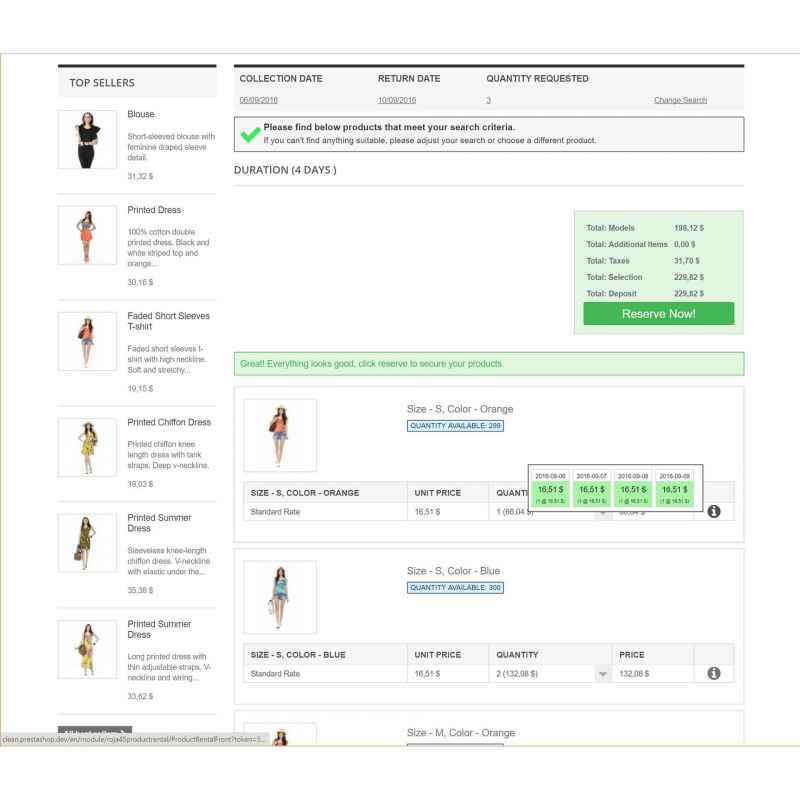 * Remove product buttons template from cache. 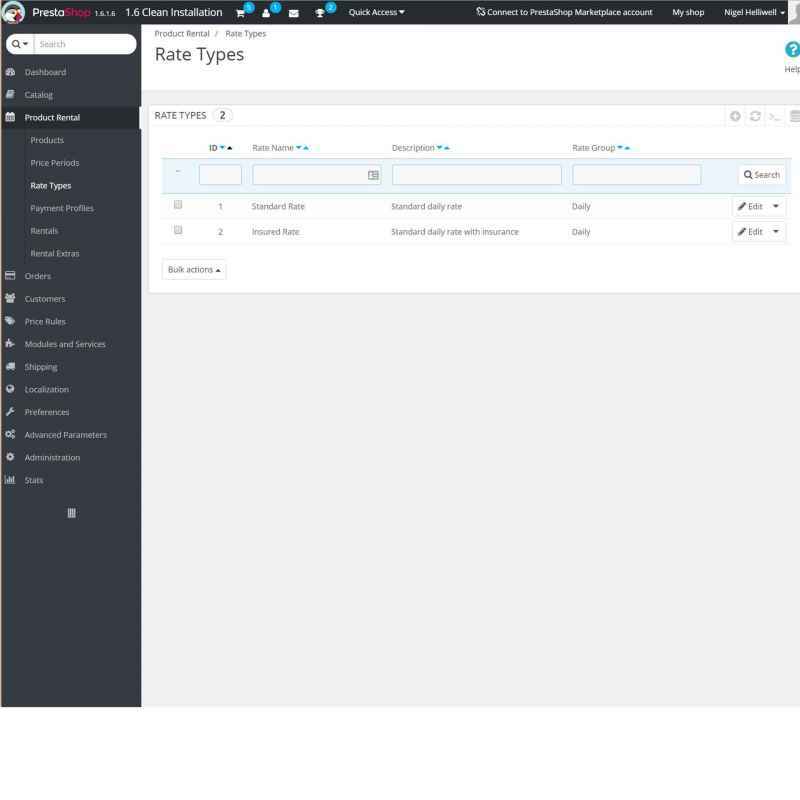 * Fix missing quantity available option for manually created rental models. 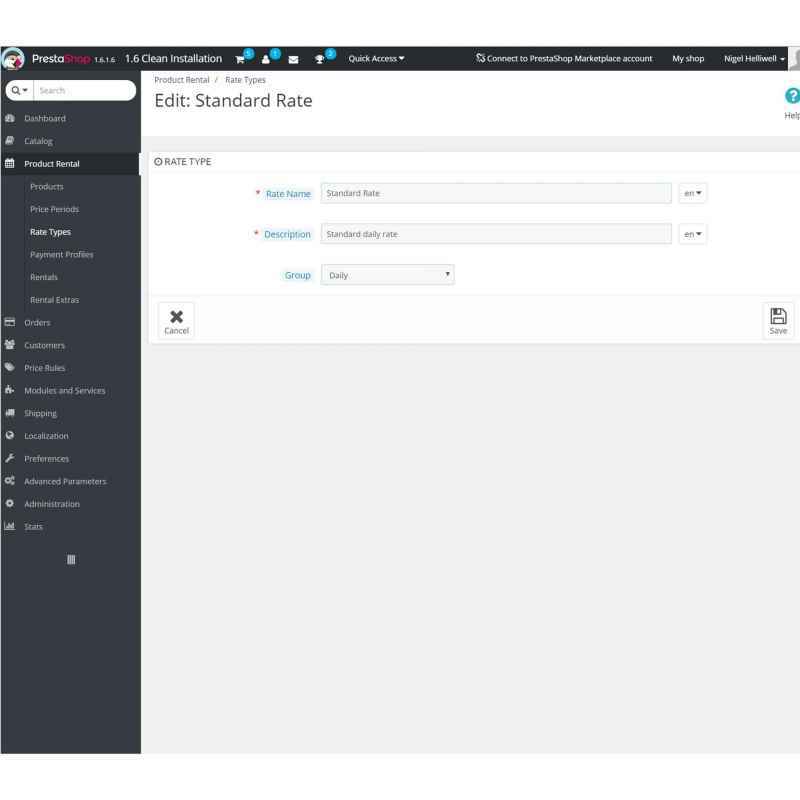 * Fix availability quantity not correctly calculating on availability page. 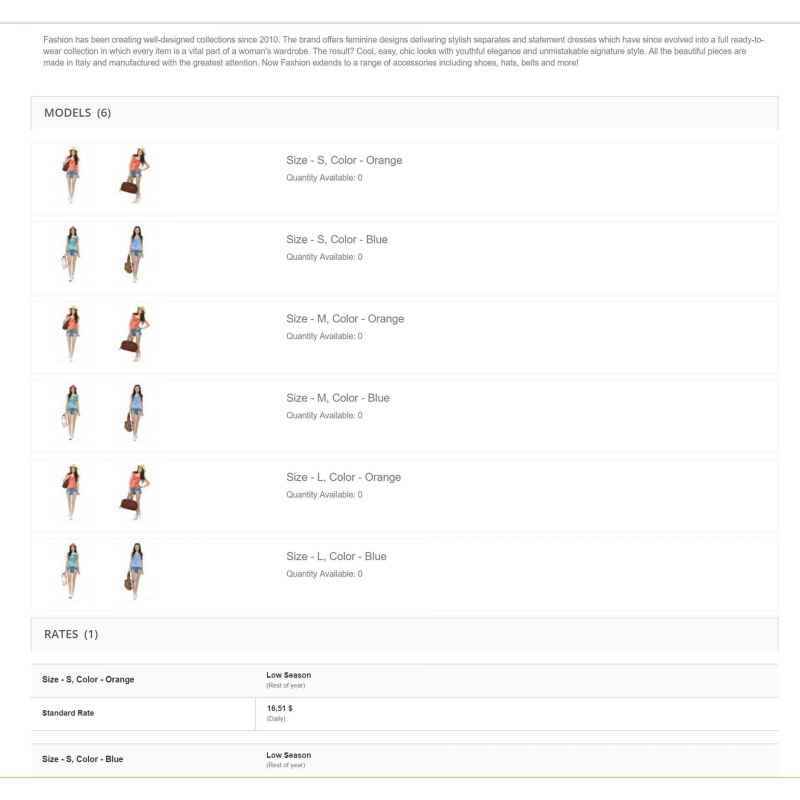 * Redesign availability screen for Ps1.7 style. * Add customer option to request payment on collection. * Add model reference number. 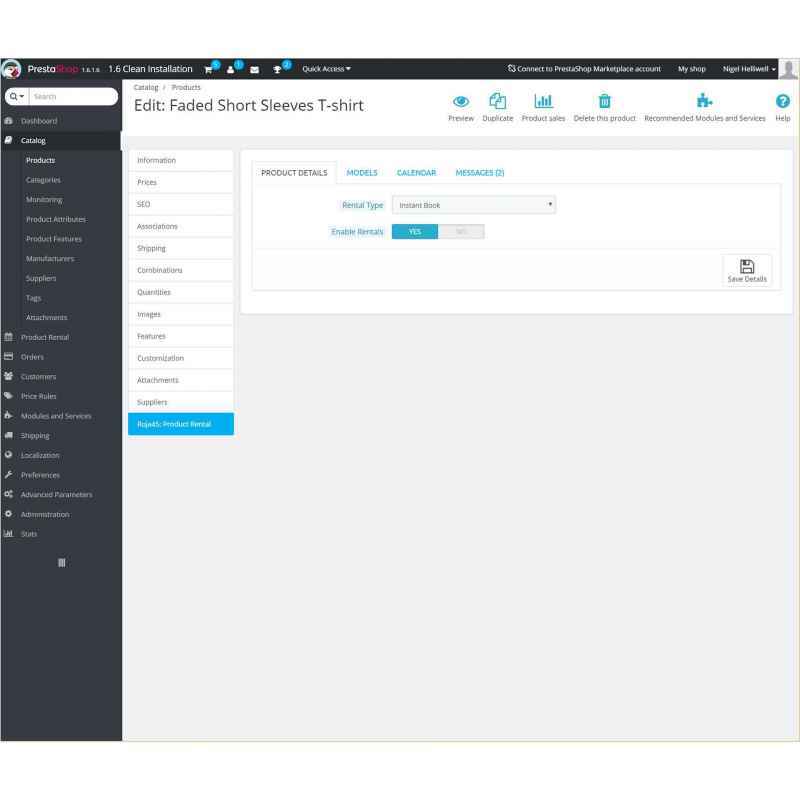 * Add rental processing option via cron task. * Add new rental from back office. 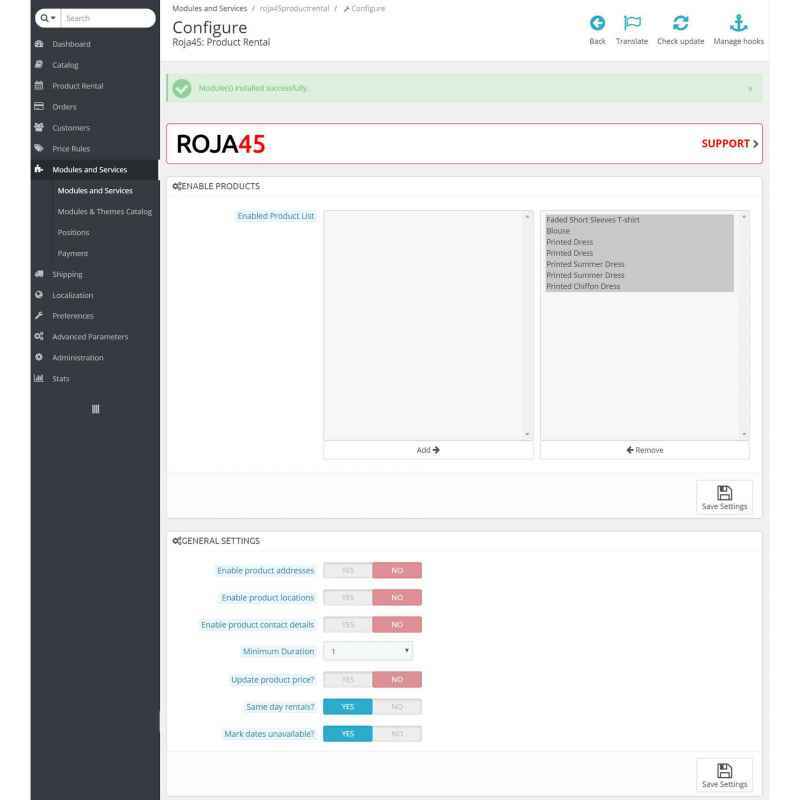 * PR-95 Add loading spinner to availability block on product screen until js is loaded. * Refactor price calculations to remove daily only processing. * PR-101 Update rental status when item returned. * PR-19 minimum days set a product level not taken into account. * PR-45 Setting min and max duration should update all products if their min and max duration are still default or unset. 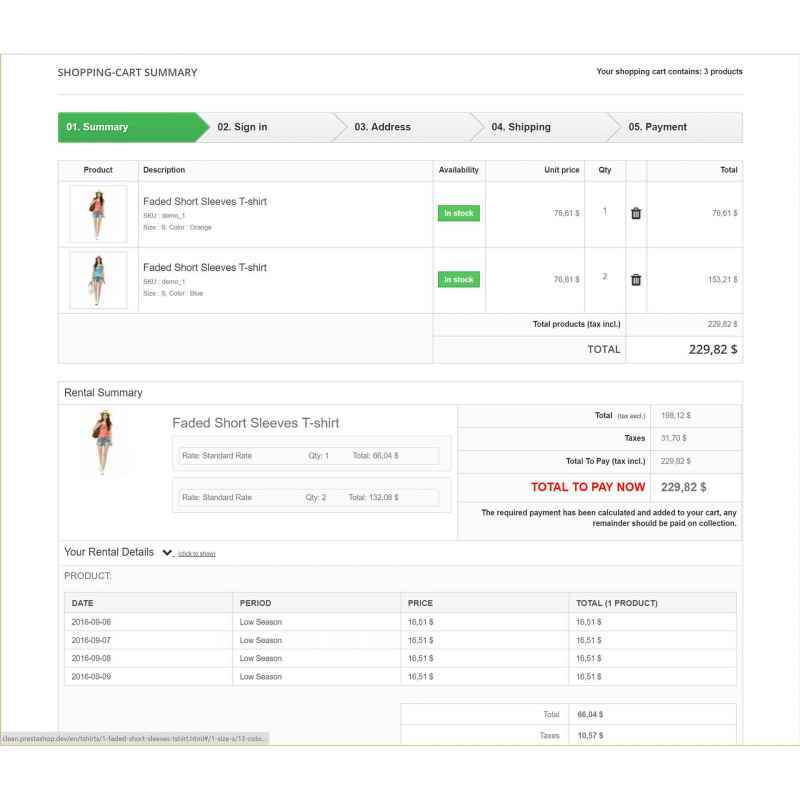 * Add option to display cart summary during checkout process. * Don't block calendar for cancelled rentals. * Default to english when no translation available for rates, working days, and models. * Add cancel option to customer account area. * PR-111 Storing rental request data in cookie is causing issues when writing the cookie data to user system. * Fix error when time selection option is disabled. * Fix custom rate being applied to wrong day. * Prevent more than one unlinked rental product model from being created. * Add PDF copy of rental to confirmation email. * Add enable/disable option to rental models. 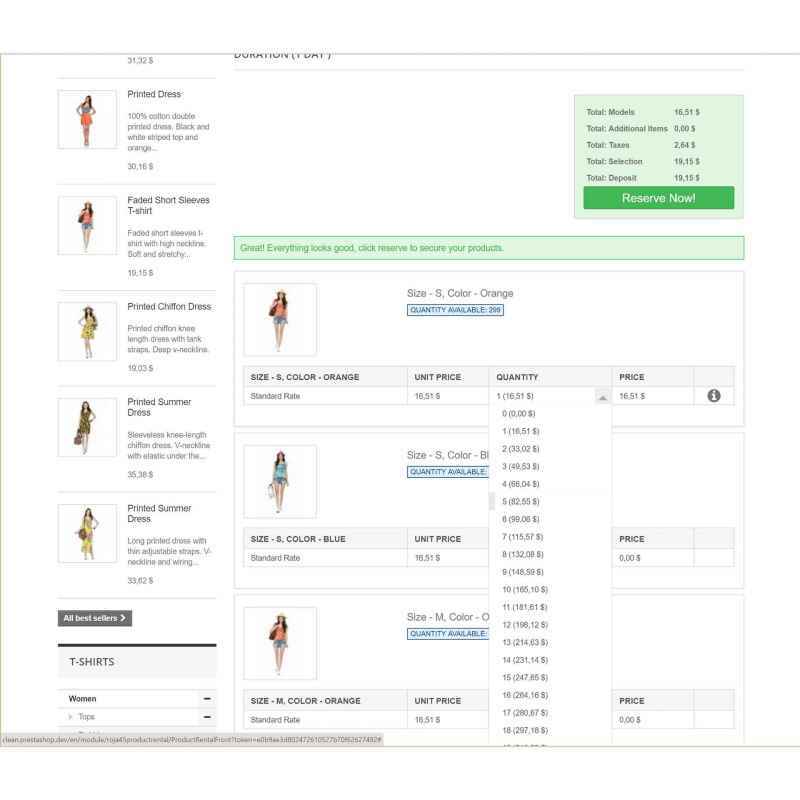 * Add custom hook to get the lowest rental product rate by customer group. 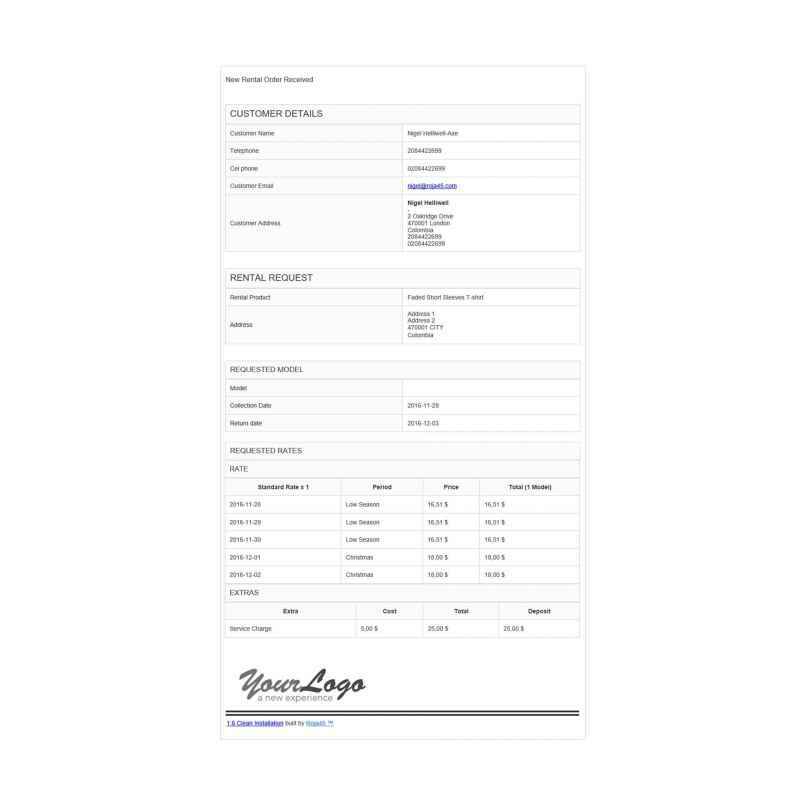 * Add collection/return time option when creating rental from back office. 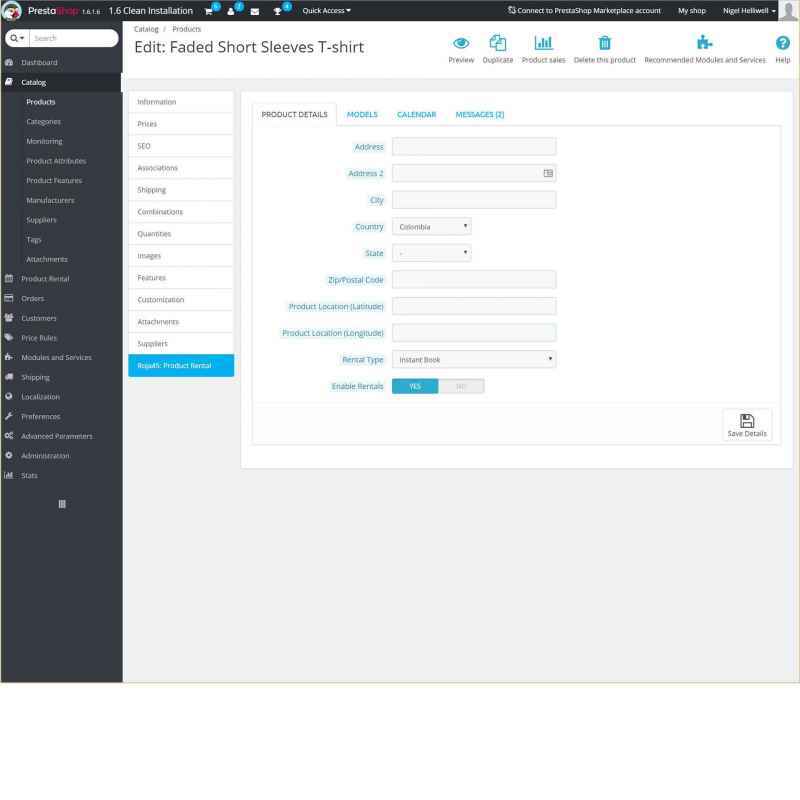 * Remove Add Model option from back office rental admin, merge with Add Rental menu option. * Fix deleting selling from from cart when damage deposit is also in the cart. If you are able to help with translating this module and its documentation into your language, please : Get In Touch as a discount maybe available for your help.